Aldrich, Robert. 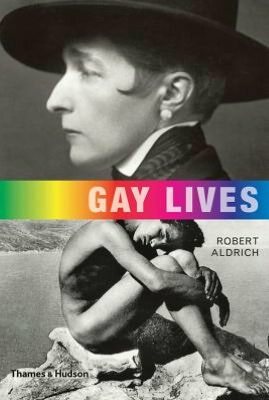 “Gay Lives”, Thames & Hudson; 1 edition 2012. There are several books that chronicle the lives of icons and heroes of the LGBT community. Robert Aldrich gives us one more with this comprehensive biographical survey from as far back as Chinese courtiers and as near as the 21st century. There are those who lived their entire lives in the closet and then there are those who have been completely open and are pioneers in the fight for equality. Do we need another book like this? I am not sure we do but this is a beautiful book and Aldrich gives us some really interesting facts and includes several people that the majority of us have never heard of before. I love the diversity here and it is fascinating to read about people and the way they lived at certain periods of history. It is one thing to be aware of our heroes but here we get to learn about those who chose to live their lives quietly and away from the spotlight. It is through that we can learn something about human nature. There are more than 70 short biographies here and we learn about how gay people lived at different times and in different places. The lives here reflect our special culture and our larger community and while we are all familiar with names like Capote, Williams, Michelangelo and Harvey Milk, how about reading about the real Aimee and Jaguar or two ancient Egyptian men from four thousand years ago or about a nun who lived during the Renaissance. The book contains wonderful illustrations and is a welcome addition to the canon of gay literature. My copy sits on my desk so that I can use it, peruse it and enjoy it whenever I want. This entry was posted in Uncategorized on April 28, 2012 by Amos.